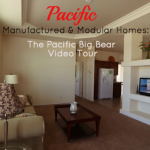 Pacific Homes: Silvercrest Park Model A Video Tour: Radiating coziness and traditionalism, Pacific Manufactured Homes Silvercrest Park Model A is a beautiful 1 bedroom, 1 bath, modular home which provides a comfortable 399 sq. ft. of luxuriously appointed living space. Offering flexibility with its site placement, the Silvercrest Park model A could potentially offer the perfect versatility for your situation. Built by one of the most respected manufactured home companies on the West Coast, this peek at diminutive perfection demonstrates how stylish the perfect in-law unit or vacation home could be for those on a slightly restricted budget. As beautiful on the inside as it is on the outside. 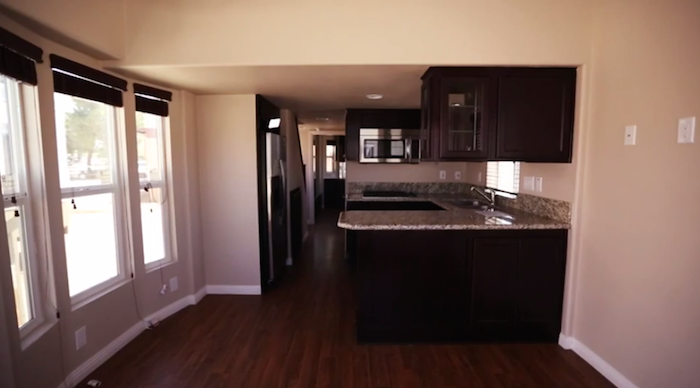 The interior of the Silvercrest Park Model A is accented with a rounded bull-nosed drywall finish throughout. With its stylish espresso stained cabinetry and accented beveled glass; these models have all been installed with top-of-the-line hardware. Enjoying quality Whirlpool appliances as a standard feature, the Silvercrest Park model A also includes an overhead microwave and a countertop electric stove. Offering several options for interior wall colors, as well as some stunning upgrades, these units show off their sense of style and panache with granite countertops and backslashes. The cumulative understanding of the builders and management at Pacific Manufactured Homes is one of the best in the industry. A family run, full service dealership in California’s Inland Empire (Riverside County California), Pacific Manufactured Homes has devised a fullproof plan to help their customers through the sometimes-intimidating process of purchasing their first manufactured home. Making the experience as pleasurable and easy as possible. At Pacific Manufactured & Modular Homes, they get that buying a home (manufactured or otherwise) is one of the more costly and concerning decisions a customer will face in their lifetime. 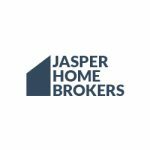 As such, their professional and well-trained staff makes it their number one priority to help their clients achieve the American dream of independence and home ownership.